EXCLUSIVE AT NET-A-PORTER.COM. 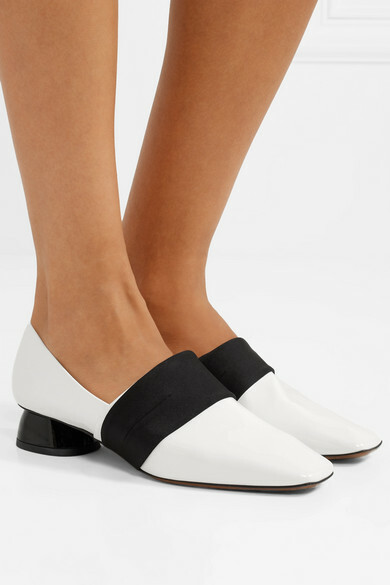 It'll come as no surprise when we tell you Neous' Creative Directors Alan Buanne and Vanissa Antonious are inspired by modern architecture and contemporary art - just look at how clean and graphic these 'Olabium' pumps are. 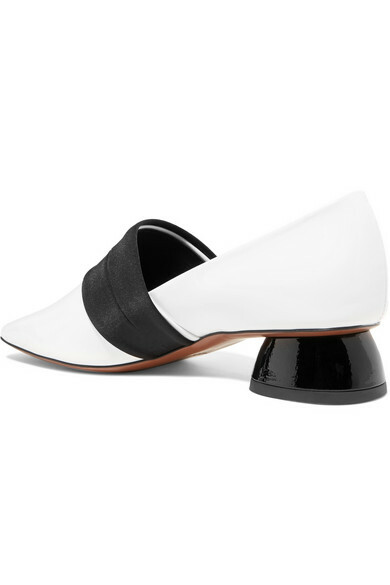 This square-toed pair has been made in Italy from white patent-leather and set on sculptural black heels. Wear yours with cropped jeans or midi dresses to showcase the satin straps. 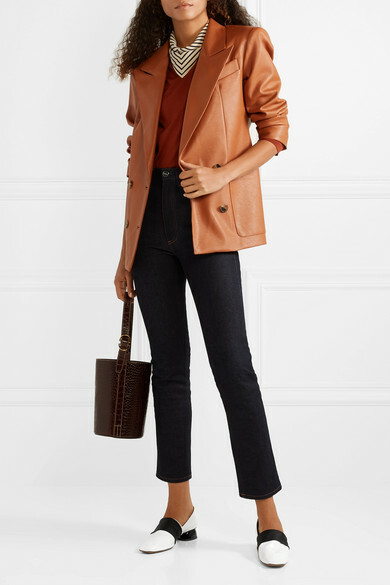 Shown here with: The Row Sweater, we11done Blazer, Totême Jeans, Trademark Bucket bag, Totême Scarf.